At a University Scholar Series event, Associate Professor Aaron Lington, School of Music and Dance, shared some of the behind-the-scenes realities of producing and recording the album that won a 2014 Grammy for Best Tropical Latin Album. He and his 20-piece jazz ensemble, Pacific Mambo Orchestra, “had to do the recording in a little bit of an unorthodox way,” Lington admitted. A $10,000 Kickstarter campaign paid for studio time, artwork, copyright fees and other necessities. Lington plays baritone saxophone. COOL4ED, a digital library project whose goal is to bring low-cost textbooks to CSU, CCU and UC students, received the Outstanding Instructional Technology Website award at the annual Directors of Educational Technology/California Higher Education conference in December. COOL4ED partners with California Open Educational Resources Council, chaired by Associate Professor Katherine Harris, Department of English and Comparative Literature. Two Department of Television, Radio, Film and Theatre Arts lecturers, York Kennedy and Michael Locher, received 2014 Theatre Bay Area Award nominations. Kennedy’s work on Cutting Ball Theatre’s new translation of Samuel Gallet’s Communiqué n° 10 earned him an Outstanding Lighting Design nomination. Locher garnered an Outstanding Scenic Design nomination for his work on Center REP Theatre’s production of Anthony Shaffer’s Sleuth. Lecturer Linda Levine, Department of Health Science and Recreation, and Associate Professor Yasue Yani, Department of World Languages and Literatures, received Helen L. Stevens Outstanding International Educator Awards in October, honored for creating opportunities for SJSU students to study abroad. Stevens is the retired director of International Programs and Services. Pianist Gwendolyn Mok, coordinator of Keyboard Studies, performed Robert Schumann’s “Piano Quintet in E-flat Major, Op. 44” with the Pražák Quartet at San Jose’s Le Petit Trianon Theatre. “It is a joyful piece. (The composer) wrote it for his wife Clara when he was in a very happy, bucolic period,” Mok said of the work. Mok and the Czech string quartet last performed at the Le Petit Trianon in 2011, collaborating on a piece by Dvořák. Both performances were sponsored by the San Jose Chamber Music Society. 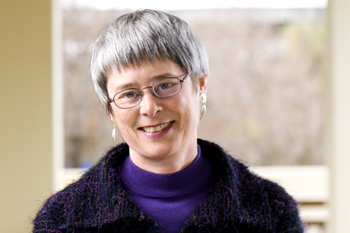 Professor Annette Nellen, Department of Accounting and Finance and director of the master’s program in taxation, announced the publication of the sixth issue of The Contemporary Tax Journal, a student-managed online journal. Launched in 2011, the journal investigates and explains tax law and features the work of SJSU MST students alongside original articles by other academics and tax practitioners. Congratulations to Joyce Osland, director of the Global Leadership Advancement Center and Lucas Endowed Professor of Global Leadership, for receiving the Scholarship and Critical Thinking Award at the Outstanding Leadership Book Awards in San Diego. Osland shared the honor with the co-editors of Advances in Global Leadership, volume eight (Emerald Group Publishing), a guide for both researchers and practitioners. “It’s a privilege to have a hand in growing this field of study, given its importance on the global stage,” Osland said. Professor and Chair Lawrence Quill, Department of Political Science, published Secrets and Democracy: From Arcana Imperii to WikiLeaks (Palgrave Macmillan), an investigation of the role secrets play in liberal democracies and the impact of those secrets on the individual citizen’s “right to know.” Quill is a 2015 visiting fellow at the Center for Research in the Arts, Social Sciences and Humanities, Wolfson College, Cambridge University. Professor San Fratello’s “Quake Column” (courtesy of Emerging Objects). 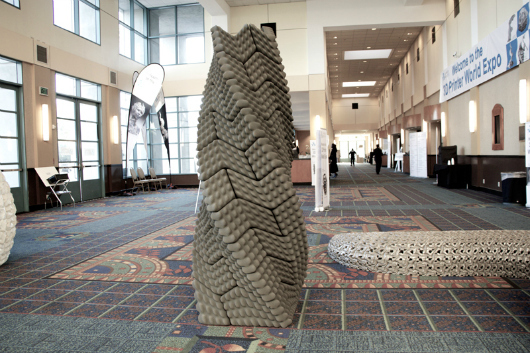 Working with her partner at Emerging Objects, a 3D printing MAKE-tank based in San Francisco, Assistant Professor of Design Virginia San Fratello invented a 3-D printed earthquake-proof column designed to withstand major seismic activity. “Quake Column” was inspired by Incan earthquake architecture and uses no bricks or mortar. Humanities Lecturer Emily Leah Silverman, author of Edith Stein and Regina Jonas: Religious Visionaries of the Death Camps (Routledge), talked about her book and research at an event sponsored by Florida International University’s Program in the Study of Spirituality. Edith Stein, a Catholic Jewish Carmelite nun, and Regina Jonas, the first female rabbi, were both executed by the Nazis in Auschwitz. KQED Arts interviewed Associate Professor Mary Warner, Department of English and Comparative Literature, about the challenges of teaching aliterate students (students who can read but don’t care to do so). Of particular concern: students who identify themselves as non-readers but aspire to become teachers. Posted Dec. 18, 2014 by The New York Times. 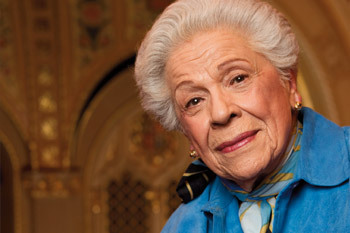 Irene Dalis, a versatile and fiery mezzo-soprano who starred at the Metropolitan Opera for two decades before building a second career as the director of Opera San José, an innovative company she founded in her California hometown, died on Dec. 14 in nearby Saratoga, Calif. She was 89. Her daughter, Alida Loinaz, confirmed her death. Ms. Dalis did not set out to be a singer or an impresario. She studied piano and music education at what was then San Jose State College before earning a master’s degree at Columbia’s Teachers College in Manhattan in the late 1940s. The plan was to go back home and teach. San Jose lost one of its finest teachers Sunday with the death of Irene Dalis, ’46 Music. The acclaimed opera star, former professor, and founder of Opera San Jose was 89. Irene Dalis poured all of her energy into providing young people with the greatest gift any teacher can give, the gift of opportunity,” President Mohammad Qayoumi said. Raised on Delmas Avenue on downtown’s edge, Dalis arrived at San Jose State with the intention of studying piano. An older sister encouraged her to pursue a master’s in music education at Columbia University in New York. While a Fulbright Scholar in Italy, Dalis auditioned as a singer. She went on to spend more than two decades as the highest-paid mezzo-soprano with the Metropolitan Opera, sharing the stages with superstars such as Leontyne Price and Placido Domingo. After retiring in 1976, she came home to San Jose with her husband and daughter. Soon thereafter, SJSU President John H. Bunzel invited Dalis to return to her alma mater as a professor of music. She didn’t teach voice, sensing her vocal technique was specific to her. Instead, Dalis drew on San Jose State’s homegrown talent to build an opera workshop that developed so many strong singers that she sought an even larger stage for them. Dalis founded Opera San Jose in 1984, providing her singers with all the support they needed to grow, including two-year residencies and housing. At the same time, she remained deeply committed to San Jose State, inviting students to audition for Opera San Jose principal and second roles and chorus in addition to providing props and costumes for campus productions. She also recommended that a mezzo-soprano she hand-picked for Opera San Jose take on the campus position Dalis once held. 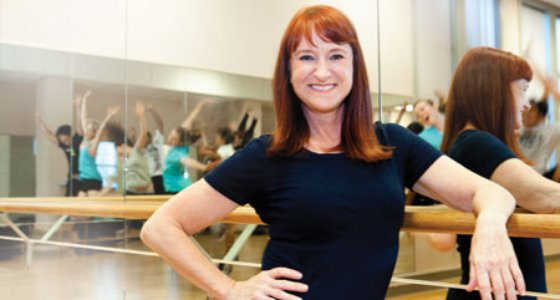 She changed my life,” said Layna Chianakas, an Illinois native who made San Jose her home after becoming a resident artist with the company in 1995, and director of the university’s Opera Theatre program in 2007. The Marriage of Figaro was the program’s first performance under Chianakas in 2012. Dalis attended, although she was still struggling to recover from a debilitating car crash in 2010. Posted Dec. 15, 2014 by the San Jose Mercury News. SAN JOSE — Irene Dalis, the beloved Grande Dame of the South Bay arts scene who reached the lofty heights of international stardom as a mezzo-soprano opera star before returning home to found Opera San Jose, has died. She was 89. Dalis was a towering figure in the local artistic community and remained the driving force behind Opera San Jose until retiring as director in June after three decades with the organization. She was born Yvonne Dalis on Oct. 8, 1925, and grew up on Delmas Avenue in downtown San Jose, the last of five children of a Greek hat maker. She rose from humble origins to embark on a long, storied career, performing at the highest levels of world opera, including at New York’s Metropolitan Opera House. A prodigious musician — who considered herself more a pianist than a singer — Dalis received her bachelor’s degree from San Jose State College (now San Jose State University), in 1946 and her master’s degree in music education from Columbia University Teachers College. There were honorary doctorates, and before launching her stellar career, Dalis was a Fulbright scholar. In 1998, Paul Lawrence received the Distinguished Contributor Award from the North American Case Research Association. At the same meeting, Anne (pictured with her father and mother, Martha) received an outstanding case award. 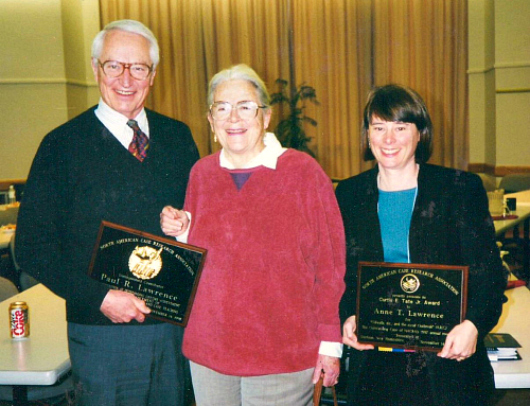 Now a professor at SJSU, Anne has received the same award as her father, an honor bestowed just 15 times in 56 years (photo courtesy of the Lawrence family). Professor of Design Alice Carter, founder of the Animation/Illustration Program, lectured on “The Illustrator and the Hero: Inventing a Mythology in Pictures” at the Haggin Museum in Stockton on Nov. 6. The presentation explored America’s fascination with superheroes, “very much an American invention,” Carter noted. Music Lecturer and Director of Orchestra and Opera Theater Michael DiGiacinto is Winchester Orchestra of San Jose’s new music director, succeeding Henry Mollicone who held the post for more than 25 years. DiGiacinto made his debut with the orchestra at San Jose’s Trinity Episcopal Cathedral and Saratoga’s West Valley College in concerts featuring the works of Jean Sibelius, Wolfgang Mozart and Dmitri Shostakovich. Anne Lawrence today (photo by Jane Richey). Environmental Studies Lecturer Pat Ferraro, whose expertise is water law, water policy and water resources management, is a member of the Santa Cruz Water Supply Advisory Committee’s review panel. His article about Santa Cruz’s “smart approach” to water conservation appeared in San Jose Inside last month. After 35 years at SJSU, Jeanne Linsdell retired as General Engineering lecturer and director of the College of Engineering’s Technical Communication. “Life is full of new beginnings and new opportunities,” she said. “I’m looking forward to a new chapter.” An educator and consultant in American Samoa for more than 20 years and former Fulbright Senior Scholar in the Ukraine, Linsdell received Outstanding Lecturer awards from the university and the College of Engineering during her career at SJSU. SJSU’s Collaborative for Reaching and Teaching the Whole Child, directed by Elementary Education Professor Nancy Markowitz, received a $100,000 Packard Foundation / Ashoka Changemaker Award in recognition of the collaborative’s efforts to build vibrant communities and equip young people to become leaders of change. The collaborative will use the award to develop a model for integrating social and emotional learning in K-12 schools and educator training. Humanities Lecturer Victoria Rue delivered the Kappen Memorial lecture in Bengaluru, India, sponsored by Visthar, a nonprofit organization dedicated to educating women, children and other marginalized groups about their rights. Rue spoke on “Rehearsing Justice: Theatre, Sexuality and the Sacred,” a discourse on the cultural and religious taboos imposed on gender and sexuality. 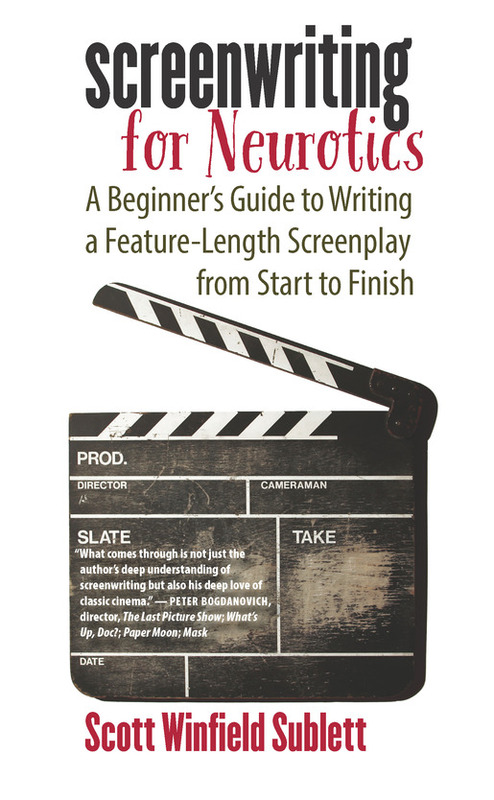 Professor of Screenwriting and Film Studies Scott Sublett published “Screenwriting for Neurotics: A Beginner’s Guide to Writing a Feature-Length Screenplay from Start to Finish” (University of Iowa Press). (SJSU students previously made do with the dog-eared, photocopied course reader version of the book.) “It’s the only screenwriting text on the market that also addresses the psychology of the screenwriter,” said Sublett’s editor, Elisabeth Chretien. Sublett is also an independent filmmaker whose films include “Generic Thriller” and “Bye-Bye Bin Laden!,” which satirizes the build-up to the Iraqi War. SJSU Research Foundation senior research scientist Grant Taylor, whose work supports the Aviation and Missile Research Development Center, received the 2014 Jerome H. Ely Human Factors Article Award at the annual meeting of the Human Factors and Ergonomics Society in Chicago. His applied research focuses on the impact of new technologies on U.S. Army users, specifically the interfaces used to control unmanned aerial systems. 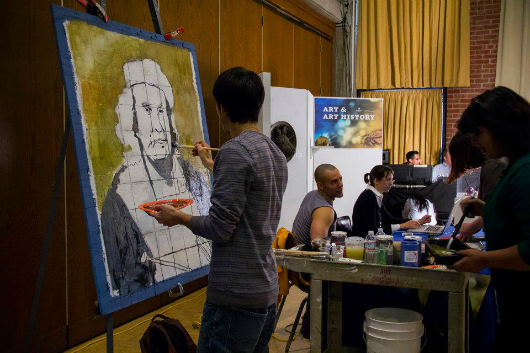 At the 2012 Humanities and the Arts showcase, a student demonstrates the technique behind the “Better Than Blue” portrait series covering one wall of the Student Union construction site (Vivi Yang photo). When Lisa Vollendorf first visited San Jose State, she was blown away by the caliber of student work. At the time, she was interviewing for dean of the College of Humanities and the Arts. When she got the job, she challenged her new colleagues to collaboratively promote their talented students. Now in its second year, the Humanities and Arts Day Student Showcase 1-4 p.m. Oct. 25 in the Student Union’s Barrett Ballroom has matured into a must-see program featuring musical performances, poetry readings, theatrical shorts and booths offering information on many of the college’s programs. scenes from “Bang Bang You’re Dead,” a play performed by Theatre Arts program students at elementary and middle schools encouraging young people to stand up to bullies. View the Humanities and Arts Day Student Showcase program. Pianist Gwendolyn Mok will appear in concert April 15 to benefit the Historic Keyboard Collection in the School of Music and Dance (photo courtesy of Gwendolyn Mok). On Monday, April 15, pianist Gwendolyn Mok will be joined by voice and string faculty from the School of Music and Dance to celebrate the launch of her latest solo CD, Brahms, The Composer’s Piano, Late Piano Works Opp 116-119. The works were recorded on two historic pianos from Brahms’ time and are similar to ones that the composer played. The program includes waltzes for piano four-hands, the complete Liebesleider for four voices and piano four-hands, and the magnificent Trio in B major, Opus 8, all performed on the 1868 Erard Grand and 1871 Streicher Grand. The concert will begin at 8 p.m. April 15 at the Music Concert Hall. General admission tickets will be $20, and $10 for students. The evening is a benefit for the Historic Keyboard Collection in the School of Music and Dance at San Jose State University, where Mok is coordinator of keyboard studies. Her earlier solo CD Ravel Revealed, the complete solo works of Maurice Ravel recorded on the 1868 Erard, is frequently broadcasted on radio stations locally and around the world. Both the Brahms and the Ravel CDs are on the Musicians Showcase Recording label. Born in New York City, Mok has appeared in many of the world’s leading concert halls, including The Barbican, Carnegie Hall, The Kennedy Center, Avery Fisher Hall, Alice Tully Hall, Davies Symphony Hall, and The Hong Kong Performing Arts Center. She is frequently invited to play and record with major international orchestras, most notably the London Symphony Orchestra, The Philharmonia, the Hong Kong Philharmonic Orchestra, the Beijing Philharmonic Orchestra, and the Residency Orchestra of The Hague. Mok is a popular chamber musician and appears regularly with members of the San Francisco Symphony Orchestra in Davies Symphony Hall, as well as such prominent groups as the Ives Quartet and Prazak Quartet. She also appears in solo recitals and as soloist with the Symphony Silicon Valley, San Jose Chamber Orchestra, and San Francisco Chamber Orchestra. 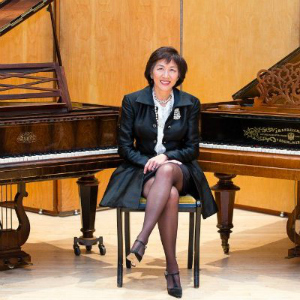 Gwendolyn Mok’s newest recording Brahms; Late Piano Works will be available for purchase at the concert, and the proceeds will go towards creating a fund to curate the historic keyboard collection in the School of Music and Dance. Posted by Metro Silicon Valley Feb. 20, 2013. As a tiny kid decades ago, Thollem McDonas crawled into his mom’s piano in south San Jose to explore its strings, its mechanisms and its sonic capabilities. The rest is history. Now, for the first time in many years, McDonas returns to San Jose to play a private house concert on that very same piano he grew up with and in. Since his mother has now passed on, the piano sits in his sister’s house. These days, McDonas is one of the world’s most respected peripatetic pianists, a nomadic, perpetually traveling musician, with no permanent home. If that was anyone else, it wouldn’t seem significant, but the list of legendary musicians McDonas now regularly hangs with borders on the extraordinary. His natural talents have equipped him with classical, improv, jazz and punk sensibilities, enabling him to jam with anyone, anywhere. So bear with me, please. With the Hand to Man Band, McDonas is now on two CDs, including Mike Watt of Minutemen and fIREHOSE fame. Along with Nels Cline and William Parker, he recorded another CD. Every time he goes to Italy, he tours with Tsigoti, the Italian avant-punk band, reminding one of what would happen if Scott Joplin swapped hormones with Iggy Pop. Other collaborators include John Dieterich of Deerhoof and Jad Fair of Half-Japanese. On Claude Debussy’s old piano, Thollem performed Debussy’s works and Thollem’s own ‘comprovisations’ (composed improvisations) with the late contrabassist Stefano Scodanibbio. To date, he has somewhere around 30 albums on 12 labels in four countries. It all began with crawling inside a baby grand piano in San Jose. When McDonas got to SJSU, he studied composition with Allen Strange and piano performance with Aiko Onishi, two people he says were polar opposites, but who complemented each other rather than negating each other. In Allen’s case, McDonas said professor Strange was equally as interested in what he could learn from his own students, as he was in teaching them. Onishi taught piano at SJSU for 20 years until the late ’80s. Contrary to Strange, McDonas says she was a strict disciplinarian. Two other legends in the SJSU Music Department influenced McDonas for life: Royal Hartigan and Dwight Cannon. The former taught there in the ’90s, when McDonas returned to participate in various improv classes. McDonas claims he still hears Hartigan’s voice in his head. Cannon had been there since the late ’60s and is sadly no longer with us. To this day, McDonas cites his first meeting with Cannon, onstage during a performance, with Cannon scraping a music stand, upside down, across the stage, as a key moment in the realization of Thollem’s musical vision. Speaking of ideas, McDonas recently found some old high school and college-era recordings buried in his mom’s garage. Those tapes will now be released on the Wild Silence label in France. Even though the private house concert this weekend in Willow Glen is not open to the public, it represents yet another intriguing instance of San Jose functioning as the transdimensional mystic vortex, shattering the space-time continuum. Past and future have now collapsed into the present. We should all be grateful. During the summer, SJSU Concert Choir Director Jeffrey Benson received a telephone call asking if his students would consider providing back up vocals for the superstar tenor. The result? A night to remember at HP Pavilion Nov. 23. We caught up with the students during rehearsal a few hours before the show. The 60-voice choir later performed eight numbers with Bocelli, plus a ninth on their own. If you’re on Facebook, you can also watch a video posted by a fan. 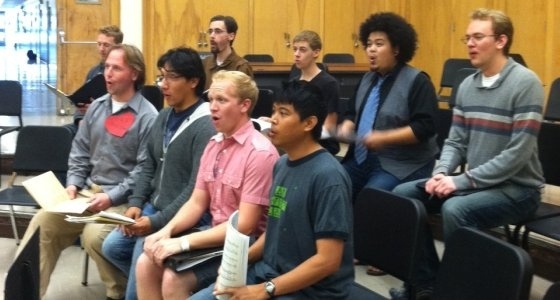 Hear more SJSU choir music on the program’s YouTube channel. Family, friends, colleagues and students celebrate Professor Gus Lease’s 90th birthday with a surprise party in the Music Building. Lease has taught at SJSU since 1950 and is chapter president of the honor society Phi Kappa Phi. Hear a clip of him singing SJSU’s alma mater: http://bit.ly/sjsu-alma-mater-gus-lease. 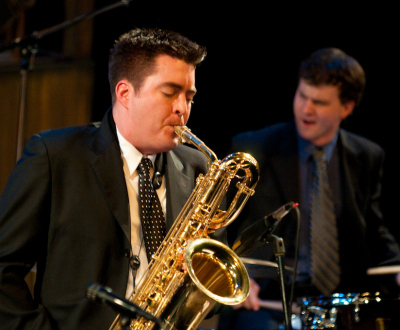 Daniel Matthews shares how his passion for music has grown as he works towards his major in music with an emphasis in jazz studies. The music program at SJSU brings people together from all over the world. SJSU’s prime location gives music majors many opportunities to find gigs throughout the Bay Area, including venues in SF and Santa Cruz. San Jose State is set to honor the life and extraordinary commitment of Phyllis Simpkins,’46 Home Economics and Marketing, on Friday, Sept. 7 at 3 p.m. in Morris Dailey Auditorium. A reception will follow in the rose garden and bell plaza area outside Tower Hall. Both events are open to the public. Mrs. Simpkins, who passed away July 7 at 87, and her late husband Alan Simpkins, ‘48 Physics, were lifelong supporters and donors to SJSU. Among San Jose State’s most generous benefactors, the couple committed nearly $20 million to many athletic and academic programs. The Simpkins’ led the effort to restore the Spartan Marching Band in 1977 after several years of absence. Last year, Phyllis provided seed money for a campaign to provide the band with new uniforms. On Sept. 8, when SJSU football takes on UC Davis, the band will wear those new uniforms in a half-time show dedicated to the couple. Sewn inside each uniform is a label bearing the name of a donor, including Phyllis and Alan Simpkins. But the Simpkins did much more than give to SJSU; they got involved. The International House was a personal passion for Phyllis who, in addition to being a regular visitor and occasional cook, oversaw its purchase, renovation and upkeep. 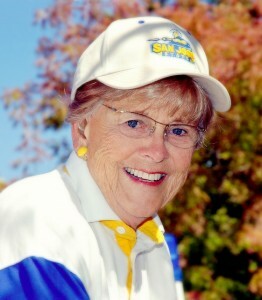 Phyllis served as president of the SJSU Alumni Association in 1977. She and with her husband were among the founders of the association’s Santa Cruz Chapter. San Jose State and the California State University have honored Phyllis and Alan Simpkins many times over the years. In 1979, Phyllis Simpkins received the Tower Award, SJSU’s highest honor for philanthropy and service. Phyllis and Alan Simpkins were named CSU Philanthropists of the Year in 1989. Both Phyllis and Alan Simpkins also received honorary Doctorates of Humane Letters at the SJSU commencement in 1996. Parking for the event is available in the South (Seventh Street) Garage, located at South Seventh and East San Salvador streets. San Jose State University extends its condolences to the family and friends of Phyllis Simpkins,’46 Home Economics and Marketing, who died July 7 at 87. 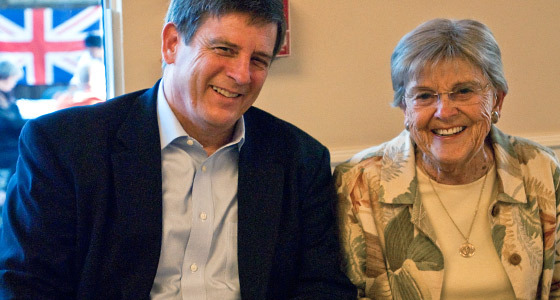 Phyllis and her late husband Alan Simpkins, ‘48 Physics, were lifelong supporters and donors to SJSU. Their son Bob Simpkins and many extended family members are also San Jose State alumni. View a photo gallery of the Simpkins’ through the years. “Phyllis and Alan Simpkins understood that everyone should receive the very best opportunities San Jose State could provide, whether it was on the playing field, in the classroom or in their interactions with other students from across the country and around the world,” said President Mohammad Qayoumi. “As recently as this spring, when we joined the Mountain West, Phyllis was a steady presence at many campus events. Her leadership inspired countless others to support SJSU. As important as the high-profile gifts were the more modest ones. The Simpkins’ almost single-handedly saved the SJSU Marching Band after its several years of absence in the 1970s. They were among the founders of the SJSU Alumni Association Santa Cruz Chapter. In addition to football and athletics in general, Phyllis and Alan Simpkins generosity extended to the softball, tennis, cross country and water polo teams. Services will be held 2 p.m. July 19 at the Los Altos United Methodist Church, followed immediately by a reception on the church grounds. The family is requesting that in lieu of flowers donations be made to the SJSU International House or the SJSU Marching Band. Gifts may be made online (http://www.sjsu.edu/giving/) or by sending a check to the SJSU Tower Foundation, One Washington Square, San Jose, CA 95192 -0256. For 30 consecutive years, Ferrara has sung “The Star-Spangled Banner” for the San Francisco Giants and last year began singing the national anthem for the San Jose Earthquakes (Thomas Webb photo). 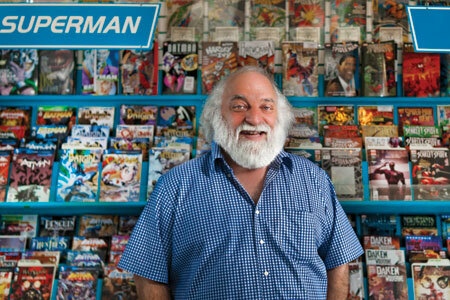 San Jose native Joe Ferrara, ’73 Music, opened Atlantis Fantasyworld on lower Pacific Avenue when comic books were “strictly a collectibles business,” he explains. Still flourishing 36 years later, the enterprise has survived the radical reconfiguring of the market brought on by the Star Wars franchise, stiff retail competition from online retailers such as Amazon, and the Loma Prieta earthquake. Read about Ferrara’s passion for music and comics in the spring 2012 issue of Washington Square magazine. If you would like to nominate a VIP, send a 100-word statement telling us why. Include your name, major, year of graduation and telephone number. Send the information to: WSQ Editor, SJSU, One Washington Square, San Jose, CA 95192-0005. Immerse yourself in the spirit of the season! 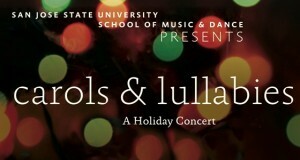 The SJSU Concert Choir, Chamber Singers and Women’s Choir will perform under the direction of Dr. Jeffrey Benson. Time: 7:30 – 9 p.m.
Summary: Immerse yourself in the spirit of the season! 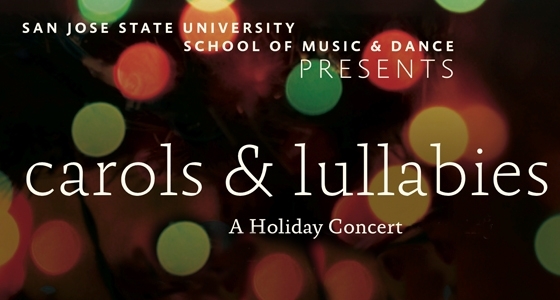 Join the The San José State University Concert Choir, Chamber Singers and Women’s Choir for Carols and Lullabies, an evening of holiday music. The concert will be held at the beautiful and historic Mission Santa Clara. Price: SJSU students FREE, Premium Seating $24, General $15, Students with ID $10. For tickets and information, call 408-924-4645. Originally published by the San Jose Mercury News Nov. 26, 2011. From 1965 through 2001, there was a constant in the San Francisco Symphony’s percussion section — Anthony J. Cirone. This award-winning percussionist — also a composer, also a retired San Jose State music professor — now has authored ” The Great American Symphony Orchestra A Behind-the-Scenes Look at Its Artistry, Passion, and Heartache” (Meredith, $19.95). Cirone, who lives in Los Gatos, regaled me with stories and insights, via email. Q How is a symphony orchestra like a family? In a good way? In a bad way? A With rehearsals, concerts, recordings, travel on buses, trains, planes, and roommates on tours, an orchestra spends many hours together. This close interaction fosters deep relationships within an orchestra family. But, it can also cause problems. For example, a player can sit next to the same musician for years, even for an entire career. And if they don’t get along — well, you get the picture! Q Why is there so often a love-hate relationship between orchestra members and conductors? A When you think about it, it’s astounding that world-class musicians, concert pianists, instrumental soloists, and singers concede so much of their musical interpretations to a conductor — yet, that’s how our business operates. We do not necessarily have to like their approach to the repertoire, but we do “love” those conductors who resonate with our own personal musical tastes; and on the flip side, ‘hate’ to perform under those who do not. Q Who is a conductor you loved, choosing among the San Francisco Symphony’s music directors through the decades? Why? A I greatly respected Josef Krips’ passion for music even though his baton technique was sometimes a bit unclear. I also continue to be very impressed with Michael Tilson Thomas, the San Francisco Symphony’s present music director. He has great musical ideas and there’s never a dull moment when he is onstage. Q Who is a conductor you did not love? Why? A Without mentioning names, I dislike performing under conductors who do not exhibit a professional attitude; for instance, when they feel it necessary to stop the orchestra to reprimand musicians for making mistakes or when they stare at musicians to let them know they are unhappy about something. A musician knows when a mistake has been made even before the conductor becomes aware of it and a player will rarely repeat it. Q Give me an adjective for each of these conductors you’ve played under in San Francisco Krips, Seiji Ozawa, Edo de Waart, Herbert Blomstedt, Michael Tilson Thomas. A Krips passionate; Ozawa charismatic; DeWaart flighty; Bloomstedt taskmaster; Tilson Thomas imaginative. Q Is it ever boring sitting there in the percussion section, waiting for your entrance? A Do you mean, for example, when I have one cymbal crash in Bruckner’s Symphony No. 7 in the slow movement of this ninety-minute work? The answer is Not at all! Every rehearsal and concert, for me, is a master class and I enjoy listening to the creative genius of these composers, studying the orchestration, and observing the technical skills of my colleagues. Q Is there a feeling of power, playing the timpani with the orchestra? A Considering the overwhelming volume of the drums, the rhythmic precision an orchestra depends on, and (when using risers) standing higher than the conductor — there’s no question about it! Q You write that you’re not necessarily a purist about following the letter of the score. Why — I’m quoting you here — do you always “choose excitement over purity and perfection”? A Music would be boring if we followed every dynamic marking, articulation, and tempo indication exactly as written in the score. These indications are only outlines, supplying musicians and conductors with a starting point from which to express the composer’s intentions. I believe music is more about passion than perfection. Q Will symphony orchestras survive their cultural marginalization? A I remember a conversation I overheard by some musicians in 1965 (when I joined the symphony). It was about symphony orchestras becoming museums because they played music written two centuries ago and that its demise was imminent. In fact, one viola player quit because of this and opened a rug store! Our symphony season was only 28 weeks a year at that time. By 1980, we had a full, 52-week season. I believe audiences will always want to enjoy the greatest music ever written (18th and 19th centuries) and these compositions will be with us forever. Most major orchestras continue to perform for full houses and if there is a malaise, it probably is due to the economic downturn. Q Who was your first music teacher? How old were you and what do you remember about him or her? A I was 7 years old when I had my first drum lesson. My teacher’s name was Jimmy Jerome, from Lyndhurst, New Jersey. He taught me how to read music. Q What music do you listen to in your car or around the house? A I enjoy classical music, 1940s big band and Frank Sinatra, who could teach us all a great lesson in phrasing! And, oh yes, plenty of “Sesame Street” tunes with the grandchildren. Q Any hobbies besides music? A I have been an organic vegetable gardener since 1970 when it wasn’t fashionable. The workshop will conclude with an informal concert at 11:45 a.m. Oct. 28 in the Music Concert Hall. Hear the combined vocal power of high school and college men at an informal concert ending “Real Men Sing,” a one-day workshop offered this Friday by the School of Music and Dance. The concert will start at 11:45 a.m. Oct. 28 in the Music Concert Hall. This event is free and open to the public. The event provides a big brother experience for college men who may not get the opportunity to sing because their school programs are not big enough to have a men’s chorus. 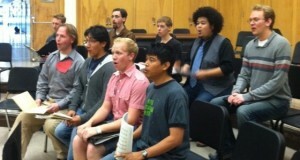 “This gives them a chance to learn some men’s chorus rep, and just be able to sing as a group of men,” Benson said. Around 375 high school men from 15 to 20 high schools will sing with the men’s choral programs of SJSU and West Valley College, a co-sponsor of the event. The students will rehearse throughout the morning under the direction of guest conductor and SJSU alumnus Paul Head, director of choral activities at the University of Delaware. Mabeza’s acapella men’s group, Pitch Please, will premiere at “Real Men Sing.” The group, consisting of 13 guys, plans to tour local high school choir programs. “We want to show people that SJSU has diversity in a lot of different kinds of music, and we are flexible with our programs,” Mabeza said. Originally posted by the San Jose Mercury News Oct. 15, 2011. 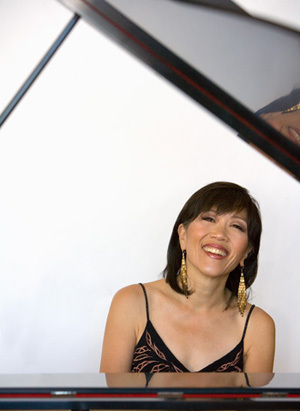 Pianist Gwendolyn Mok has performed with orchestras ranging from the London Philharmonic to Symphony Silicon Valley. A Ravel specialist, she owns and cherishes an 1868 Erard grand piano — the very brand of piano Ravel loved, because it produces rippling colors and harplike effects, and allows for unusually rapid note repetitions. It helped him “paint” with sound. Ditto for Franz Liszt, the composer and rock-star pianist of the 19th century, born Oct. 22, 1811 — 200 years ago this week. His bicentennial is being celebrated worldwide, including at San Jose State University, where a daylong Liszt festival takes place Monday. 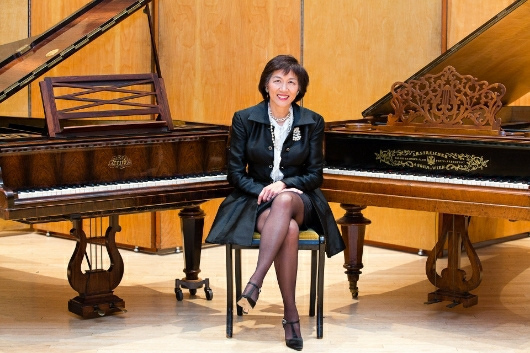 Organized by Mok, the university’s coordinator of Keyboard Studies, it culminates with an evening gala concert that will find her and three Liszt specialists (William Wellborn, Michael Boyd and Chih-Long Hu) performing on that 1868 Erard. As a result, Mok suspects, listeners will get to hear Liszt’s music in strikingly new ways. I recently spoke with Mok about Liszt and the festival. Q So let’s hear about Liszt’s love affair with the Erard. A He not only favored it, but toured with it exclusively; the Erard is indelibly connected to Liszt. He made it his personal mission to spread the music on this great piano, at a time when there were over 300 European piano manufacturers — any of whom would have killed to have the great Liszt use their pianos, because any keyboard that he would touch would become legendary. Q Gwen, over the years you’ve told me about composers — Ravel, in particular — whose compositions were shaped by the instruments they played. How does Liszt fall into that category? A Anything Liszt wrote required a lot of rapid repeated notes — he might not have composed those works had he not played on this piano. I think the Erard, with its double escapement action — the mechanical device that allows for rapid repetition of a single note — really inspired him to compose the “Transcendental Etudes.” You could say the same about the “Hungarian Rhapodies,” the “Mephisto Waltz” and the B minor sonata — any of these masterpieces that require rapid repeated notes. Q Will hearing Liszt played on the Erard really “change” his music for listeners? A I think so. There were certain colors that he was going for — a lot of color and nuance in his music that gets lost on the modern piano for a variety of reasons. People tend to play his music really fast and really loud; there are many subtleties that people miss and that we rarely hear as a result. The Erard allows the pianist to transcend the technical difficulties and get closer to the meaning of the music. It allows this, because of its lighter action, the clarity of the instrument, and the fact that this particular instrument that we’re playing is parallel-strung instead of cross-strung, so there’s an even greater clarity between registers. For instance, Liszt’s “Campanella,” one of his Grandes Etudes, is really about the sound of bells. With this instrument, it’s so transparent and wonderful to hear. Q If only we had recordings of Lizst himself at the piano. A It’s such a shame that there are no recordings. We don’t have a real idea of how he would have approached his own music; we don’t have the benefit of YouTube to see what he actually did. There are some reports of how he taught. He would listen to a student, then sit down and perform certain passages, bringing out alternative voicings and lines. He was as great a listener as he was a player. Q Tell me about Liszt as a man, beyond the musician. A The bicentennial is an important occasion, because Liszt was not only a great composer and pianist, but a great citizen. He contributed hugely to relief for natural disasters and floods in Europe; he played many benefit concerts for the victims. He would give away his own fortune, always willing to lend a hand. And he always was searching for meaning in his life, beyond being this great virtuoso pianist. He lived a religious life; a complex person. He didn’t die rich. He gave away most of his money. Q Not everyone loved him, though. Brahms sure didn’t. Some people thought he was all about Liszt. A True. Some people felt that he was vain, and he had this reputation as a womanizer. But there was a lot more to him. Q Tell me about the festival’s afternoon concert. A OK. I was talking a while back to William Wellborn, founding president of the American Liszt Society’s San Francisco chapter. He is a great, great Liszt scholar. And as we started to discuss the bicentennial, I mentioned that San Jose State has in its possession — at the Ira F. Brilliant Center for Beethoven Studies — a very rare publication the 1841 Album Beethoven, published by the European publisher Mechetti. It’s an anthology of compositions by Liszt’s contemporaries. About 500 copies were made in a beautiful edition, with beautiful plates, with scores by these great virtuoso pianist- composers. Proceeds from the album’s sale went toward building the monument for Beethoven (who died in 1827) in Bonn, Germany. Because there’s only one album left in the United States and just two or three in the world, many of its most interesting pieces have never been heard. So we’ll be playing all these delightful salon pieces by Chopin, Mendelssohn, Kalkbrenner, Moscheles, Taubert, Thalberg, Döhler and Henselt. One of Mendelssohn’s best piano works, “Variations sérieuses,” was composed for this album. In fact, Liszt stepped in and contributed one of his own works to the album, his transcription for piano of the “Funeral March” from Beethoven’s “Eroica” Symphony. So we’ll be “premiering,” you might say, works from this incredible album that showcases Liszt and these other pianist-composers. Together, they represent a certain time and place. Q A time when Liszt was a celebrity, really like a rock star. A Right. We look at him from afar, and we realize that he was actually the first-ever matinee idol that we had as a pianist. His music isn’t as profound as, say, Beethoven’s. But it represents an era, one that saw the explosion of the virtuoso on the keyboard. I don’t think we would have our current era, when virtuosos are practically a dime a dozen, without Liszt. He broke the mold. He was a trailblazer. As pianists, we wouldn’t be where we are today without him. Description: Three internationally recognized pianists and interpreters of the music of Franz Liszt will join pianist Gwendolyn Mok, coordinator of keyboard studies at SJSU, in a day long series of concerts and a master class at San Jose State University. An evening gala will feature an 1868 Erard grand piano from Liszt’s time, a favorite piano of the composer. Get a sneak peak by viewing the video (right). William Wellborn, founding president of the San Francisco Bay Area chapter of the American Liszt Society, had the honor of presenting an all-Liszt concert at the Hofgärtnerei Museum in Weimar. Michael Boyd was invited in 2007 to the opening concert of the American Liszt Society’ Festival at the San Francisco Conservatory, performing the rarely heard original 1838 version of Liszt’s Paganini Etudes. Chih-long Hu, awarded prizes from the Mauro Monopoli International Piano Competition in Italy and Concurs Internacional De Piano D’Escaldes-Engordany in Andorra, is currently recording a CD of Liszt’s songs. All four pianists will be participating in three different events on Monday, October 17. At 12:30 p.m., there will be a free lunchtime concert in the Shiro Room, fifth floor of the Martin Luther King library, of works by Liszt, including songs performed by faculty member Joseph Frank and guest artist Chi-Long Hu. William Wellborn will perform Chopin-Liszt: The Maiden’s Wish, Beethoven-Liszt: Mignon, and Hungarian Rhapsody #15 “Rakoczy March”. Michael Boyd will perform Fantasy and Fugue on a theme B.A.C.H. and Gwendolyn Mok will perform Petrarch Sonnets 104 and 123. At 3:30 p.m., there will be an open master class in the Concert Hall of the School of Music, performances by students from the music department, and a specially selected student from a private studio led by Boyd and Wellborn. The evening gala concert at 7:30 p.m. in the Concert Hall, will feature the 1868 Erard grand piano. Liszt, who traveled extensively on concert tours, performed exclusively on Erards. The program will consist of pieces by composer/pianists who were contemporaries of Liszt. These works are from the 1841 Album Beethoven, published by Mechetti. Included in the album are works by Chopin, Mendelssohn, Kalkbrenner, Moscheles, Taubert, Thalberg, Dohler and Henselt. You will also hear Liszt’s transcription of the Funeral March from Beethoven’s third symphony. The Beethoven Center has one of only two surviving Mechetti albums so many of these works will be heard for the first time. A PDF copy of some of these works will be made available online. Wellborn, Boyd, Mok and Hu will be joined by two students, Evan Chow and Yong Yu Gao, who were specially selected to perform in the Gala. The day-long celebration is being sponsored by the School of Music and Dance and The Artch Foundation. Tickets for the evening Gala are $15 adults, $5 students and seniors and are available for purchase at the door.